Aviva Investors is a global asset management firm specializing in investment strategies that seek to address the specific needs of today's investor. 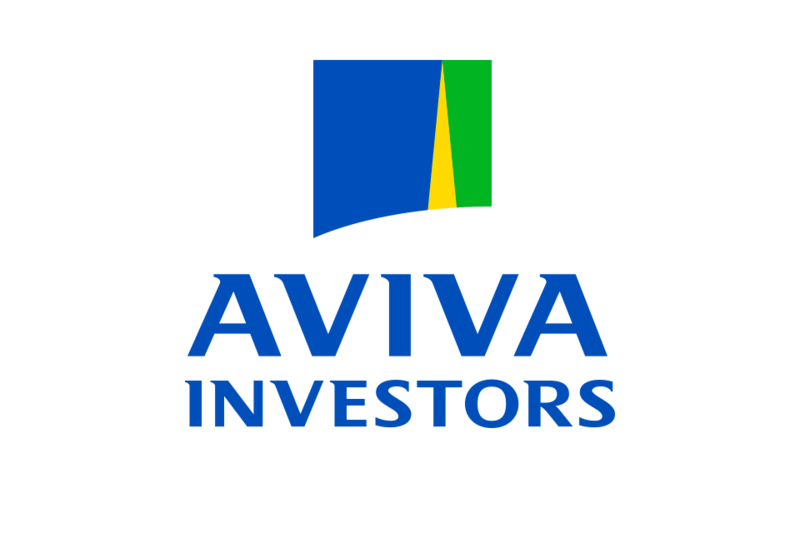 As the investment arm of Aviva plc, which can trace its origins back over 300 years, the firm has tremendous resources at its disposal in the pursuit of meaningful investor outcomes. Aviva plc is listed on both the London and New York stock exchanges. Aviva Investors acts as a single, collaborative team, bringing together knowledge and capabilities from around the world. More than 330 investment professionals in 15 countries in Asia Pacific, Europe, North America, and the United Kingdom search for the best investment ideas across fixed income, equities, real estate, alternatives, cash, and derivatives. In-depth research and robust risk management underpin every investment decision. With four decades of experience managing multi-asset portfolios, Aviva Investors possesses a deep understanding of investor needs and strives to create solutions that aim to keep pace with those needs as they change over time. Euan Munro is chief executive officer of Aviva Investors, the investment arm of Aviva plc, which is the largest insurer in the United Kingdom. Aviva Investors manages a wide range of asset classes globally and is subadviser to the Virtus Aviva Multi-Strategy Target Return Fund. Mr. Munro serves as chairman of Aviva’s Strategic Investment Group and strategic adviser to Aviva Investors Multi-Strategy (AIMS) funds. Mr. Munro has more than 20 years of investment experience and is considered a pioneer in the development of liquid multi-strategy investment solutions. Prior to joining Aviva in 2014, he was the global head of the multi-asset investing and fixed income teams at Standard Life Investments, where he was a key architect of Standard Life’s Global Absolute Return Strategy (GARS). He was also a member of the Standard Life Investments board and Standard Life plc’s executive leadership team in his 18 years at the firm. Mr. Munro holds a B.Eng. in physics and electronics from Edinburgh University. In addition, he holds a post-graduate diploma in actuarial sciences from Herriot Watt University and is a fellow of the Institute of Actuaries (FIA). He began his career in the investment industry in 1992. Aviva Investors Americas LLC (AIA) is the named subadviser to the Virtus Aviva Multi-Strategy Target Return Fund and utilizes the services of Aviva Investors Global Services Limited (AIGSL) and its other affiliates (collectively, Aviva Investors) to manage the Fund. Each affiliate entered into a Memorandum of Understanding (“MOU”) with AIA and these affiliates are Participating Affiliates as that term is used in relief granted by the SEC. The investment professionals listed are located in London and are employees of AIGSL. Peter Fitzgerald heads the multi-asset investment team at Aviva Investors, overseeingthe fund managers, strategists, and researchers. He also is responsible for the firm’s return-targeted multi-manager strategy and manages a number of risk-targeted, unit-linked, and pension portfolios. Mr. Fitzgerald serves as a co-portfolio manager of the Virtus Aviva Multi-Strategy Target Return Fund, which is subadvised by Aviva. Mr. Fitzgerald has extensive international investment experience having worked in Asia, Latin America, and Europe. Prior to joining Aviva in 2011, Mr. Fitzgerald was on the multi-asset team at BNP Wealth Management. He began his investment career at Old Mutual in 1995. Mr. Fitzgerald holds a postgraduate diploma in education from Trinity College Dublin and a degree in European studies from the University of Cork. He is a CFA charterholder. Ian Pizer is the head of investment strategy at Aviva Investors, where he is responsible for formulating the firm’s “House View” and risks to that view. He is also a senior fund manager on the multi-assets team. Mr. Pizer serves as co-portfolio manager of the Virtus Aviva Multi-Strategy Target Return Fund, which is subadvised by Aviva. Prior to joining Aviva in 2014, Mr. Pizer spent over 10 years at Standard Life Investments, where he was investment director, multi-asset investing, and managed the firm’s flagship Global Absolute Return Strategies (GARS) fund and Absolute Return Bond Strategy fund. Mr. Pizer earned a Ph.D. in mathematical logic from Bristol University. He is also a CFA charterholder. Mr. Pizer began his career in the investment industry in 2002. Mark Robertson leads Aviva’s multi-strategy investment team and is responsible for managing the firm’s outcome-focused multi-strategy funds. In this capacity, he serves as co-portfolio manager of the Virtus Aviva Multi-Strategy Target Return Fund, which is subadvised by Aviva Investors for Virtus Investment Partners. Prior to joining Aviva Investors in 2018, Mr. Robertson was head of multi-asset portfolios at NN Investment Partners, with responsibility for portfolio construction, risk budgeting, and performance. He also served as lead manager of the Kronos multi-strategy portfolios and as a co-manager on the absolute return funds. In addition, he was head of the Innovation Lab, which looks at implementing new data sets and tools to enhance the investment process. Before then, he was a portfolio manager at UBS Asset Management. Mr. Robertson earned a B.S. from the University of Waikato in New Zealand and a Master of Applied Finance from Macquarie University in Sydney. He began his investment industry career in 2000. James McAlevey manages the AIMS fixed income and total return funds at Aviva Investors. In this capacity, he serves as co-portfolio manager of the Virtus Aviva Multi-Strategy Target Return Fund, which is subadvised by Aviva Investors. Mr. McAlevey also leads the rates team. In addition, he sits on the Bond Investment Group, which explores the implications of the house themes for the fixed income asset class specifically, and on the Strategic Investment Group, where all investment ideas that are proposed for inclusion in the AIMS portfolios are rigorously debated. Prior to joining Aviva Investors in 2016, Mr. McAlevey was head of interest rates at Henderson Global Investors, focused on alpha generation in its benchmark-agnostic product offering. He previously worked on the hedge fund side of the business, where he gained insight and experience in the use and application of derivatives in an absolute return framework. Mr. McAlevey earned an MSc in economics from the University of Bristol. He is a Chartered Financial Analyst® (CFA®) charterholder. He began his investment industry career in 2000.